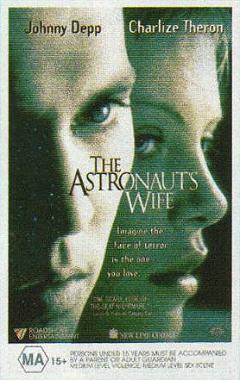 After an astronaut (Johnny Depp) returns his wife (Charlize Theron) suspects that he isn't the man she married. This premise is similar to the Monte Markman film, except that this time we do not know whether the NASA wife is correct or not. Why is Jillian's ideal astronaut husband behaving so strangely? What happened to his crew in space? Is he a danger? A mixture of science fiction, horror and mystery, this film has some of the most interesting and effective photography and editing in recent years. Not a new idea, but worth a look nonetheless.